A couple of days ago, we reported that the Huawei Honor Holly, which was launched in India last year, is all set to go on sale in the UK next month with a price tag of £74.99 ($117). As it turns out, the device is already available in Germany. German consumer electronics chain MediaMarkt has the smartphone in stock for €99 ($113), although there's a shipping charge of €2 ($2.3) associated with it. Specs-wise, the Honor Holly is powered by the MediaTek MT6582 chipset, which sports a 1.3 GHz quad-core Cortex-A7 CPU and a Mali-400MP2 GPU. 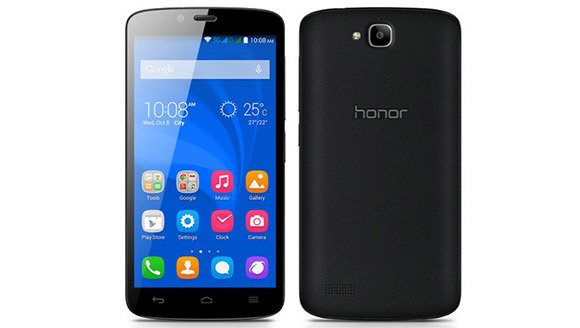 It features a 5-inch 720p touchscreen, an 8MP rear camera with LED flash, and a 2MP front shooter. The device comes with 1GB of RAM, 16GB of expandable built-in storage, and packs in a 2,000 mAh battery. It runs Android 4.4.2 KitKat out of the box.